Site planning for this residential estate included planning agency approval documents, site analysis and engineering, as well as project construction supervision. Click here for project photos. 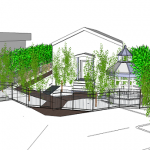 This narrow business lot was transformed into an attractive, parking-efficient site plan. With the addition of screen plantings, gazebo, and paver entry walkway, clients readily park, locate their destination, or enjoy the relaxing setting. 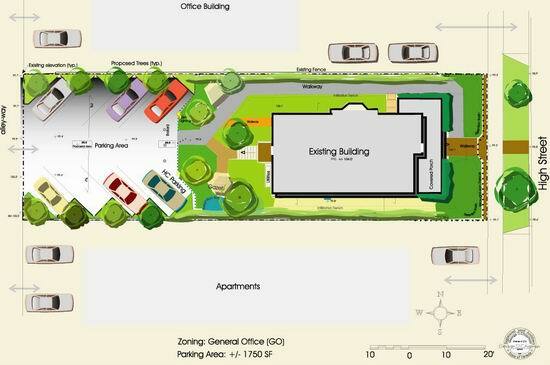 Construction details for this site plan can be viewed here. 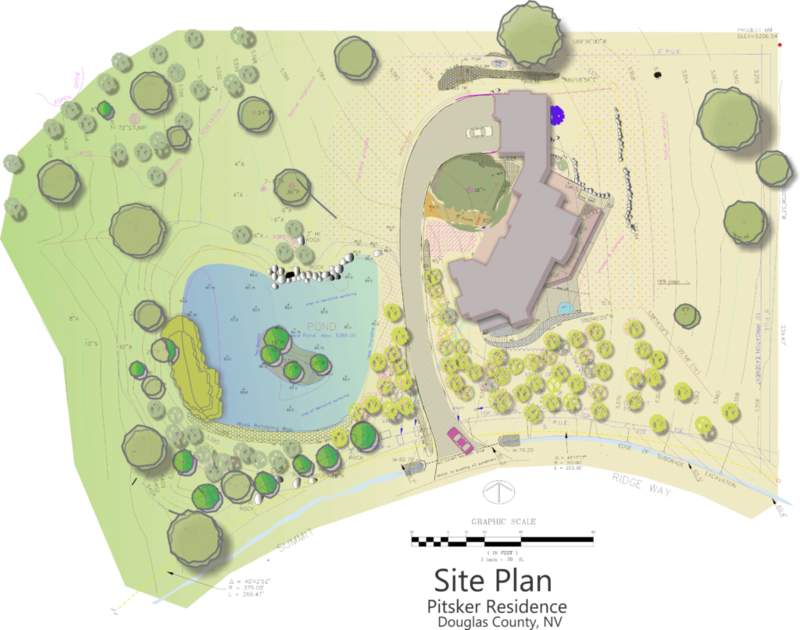 This 3D imaging of the site plan above allows Landmark Design to communicate effectively and efficiently with clients in a collaborative design process. 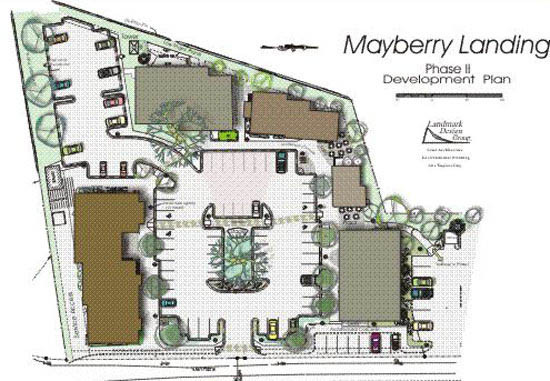 This Retail / Office siteplan provides a variety of opportunity for retail sales, restaurant, offices and living quarters. It is ADA accessible and has an innovative performance area for special events.